On December 29, it snowed. You may remember this snowfall as it was very, very wet. 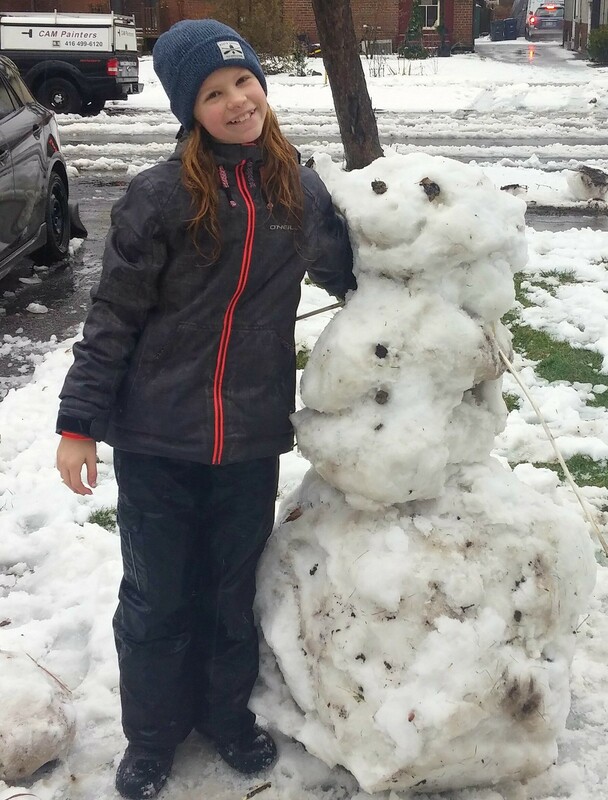 With my youngest obsessed with Olaf from Frozen, my daughter was determined to make him a snowman. I helped her make a soaking wet snowman and snapped the photo below. The next day, it got awfully cold, and this snowman turned to rock solid ice. 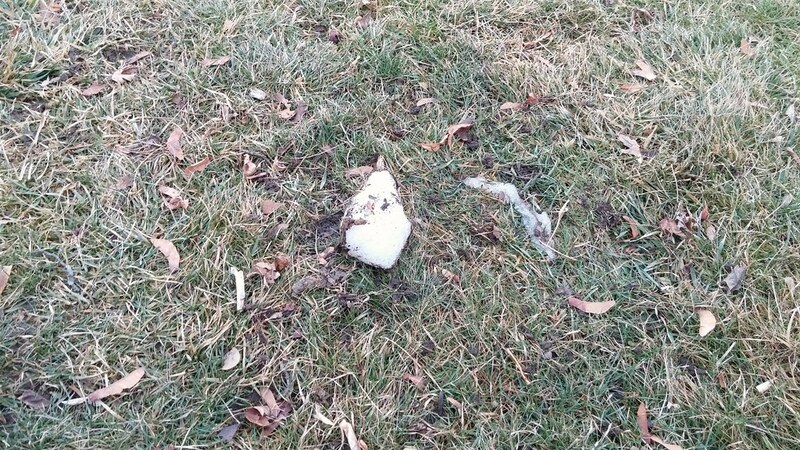 Somehow, this ice snowman survived longer than any other snowman in the neighbourhood. Even during unseasonably warm January days Michelle's snowman held on. Her snowman very well may be the last surviving snowman in the city of Toronto. I took the photo below yesterday. There's no way Michelle's snowman will survive tomorrow's high of 14°C. Farewell, snowman. You'll be missed. 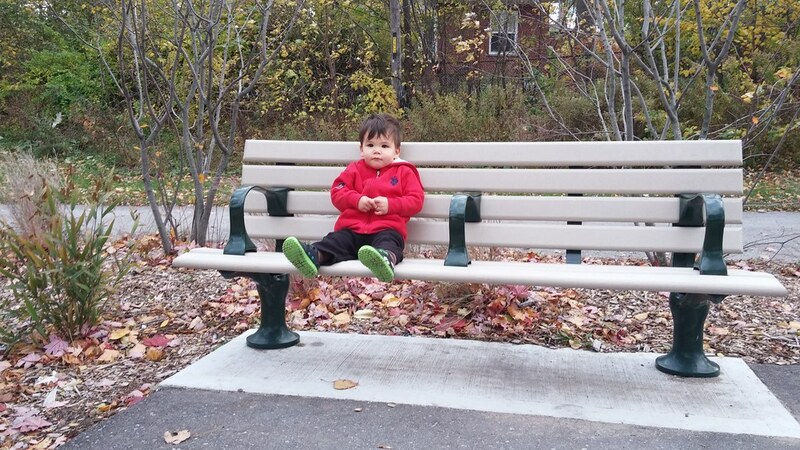 My youngest is unable to pass a park bench without wanting to sit on it and chill. It sure slows down walks through High Park. When he first started doing it, I thought it was cute and would take a picture, but now it happens so often it's lost its charm. On Friday, my wife and I learned the gender of our unborn baby. 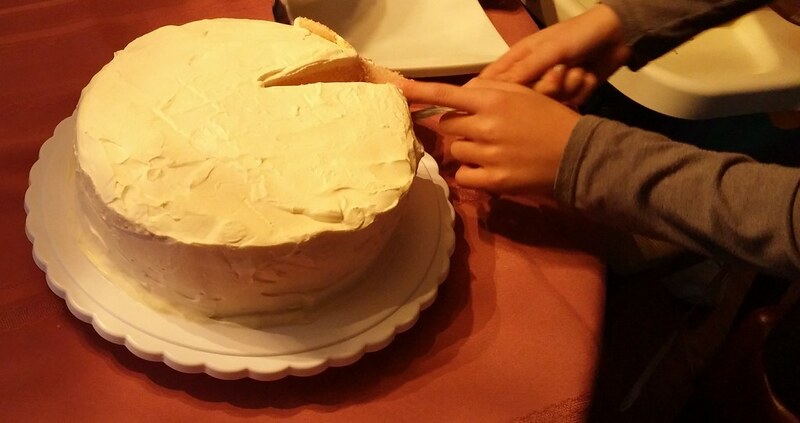 We kept that detail to ourselves for one day so we could inform the kids in the best way possible: via cake. My wife made a vanilla cake with food colouring. My daughter would cut the cake, and if the inside was blue, she was getting a third brother, and if the inside was pink, she was getting the little sister she's been wanting. 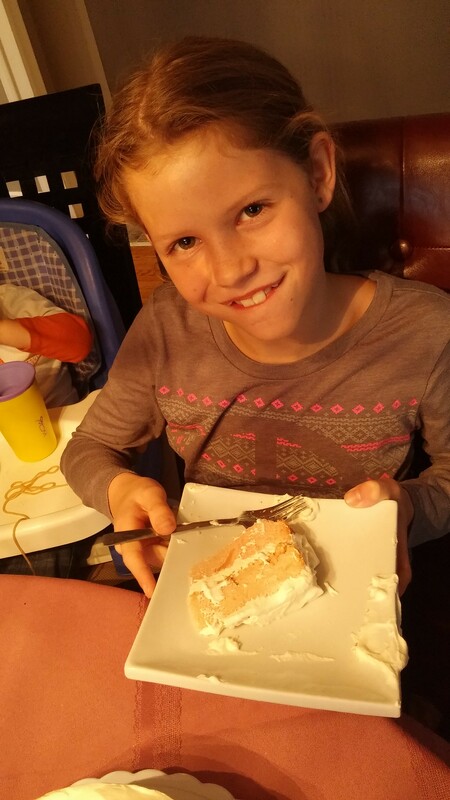 To her delight, the cake was pink. We're having a girl! Everyone is happy, and I'll admit, I quite like the symmetry. Boy, girl, boy, girl... perfect. 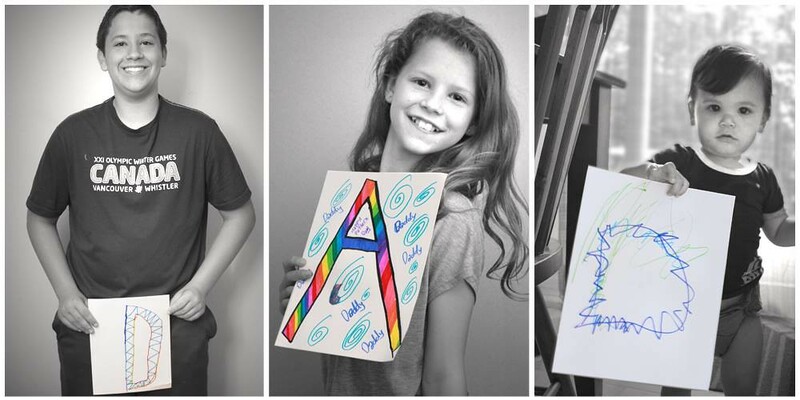 With my first three kids, I knew their gender as soon as possible. That's typically at the 20-week ultrasound. All of my children were named while they were in the womb. This Friday, I'll learn the gender of baby #4. My daughter really wants a baby sister, so for her sake I'm rooting for that, but I'll be equally happy either way. I'm just excited to find out. Once we know the gender, the plan is to bake a cake with either pink or blue food colouring and revealing it to family in that sweet way. 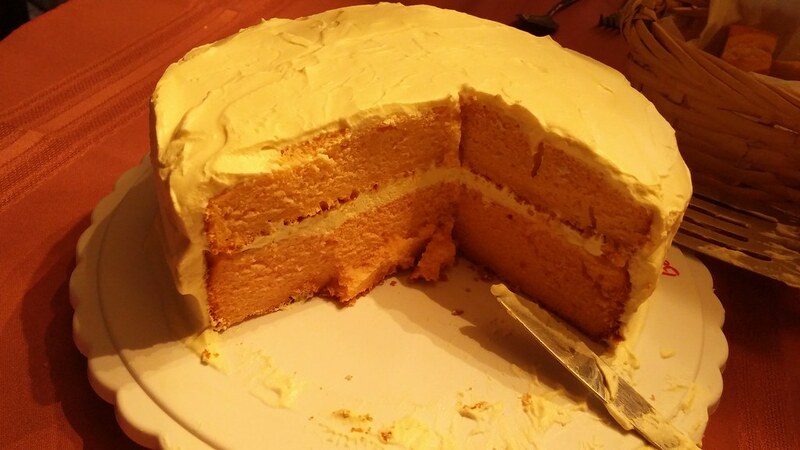 The gender reveal cake will be cut Saturday, before the kids head out trick-or-treating. That's my story, now I'm curious about yours. Did you find out the gender of your unborn child or did you prefer to keep it a surprise? I love fatherhood. I think I'm pretty good at it. At least my kids tell me so. I do my very best and treat the responsibility as if it's the most important job I'll ever have. My first born will soon be 14-years old. We talk about everything. My goal is to make him twice the man I ever was, and we're well on our way. My daughter is 11, and whether it's competitive dance or soccer, she's full of passion. This star shines bright and I cherish every minute I spend with her. 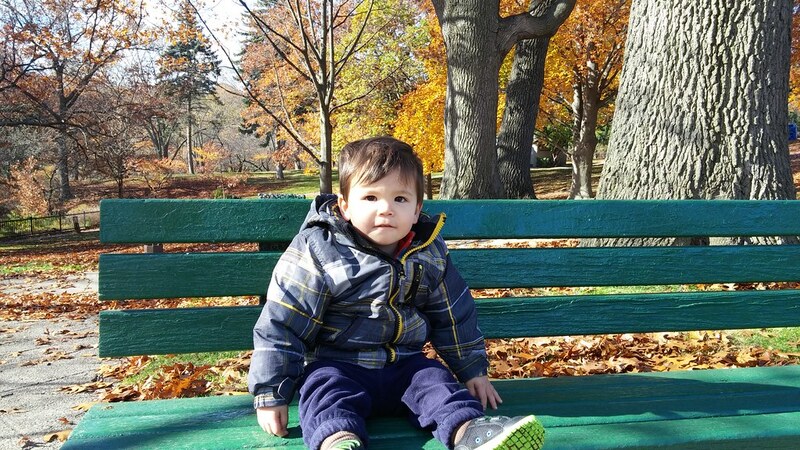 Then there's my youngest son. 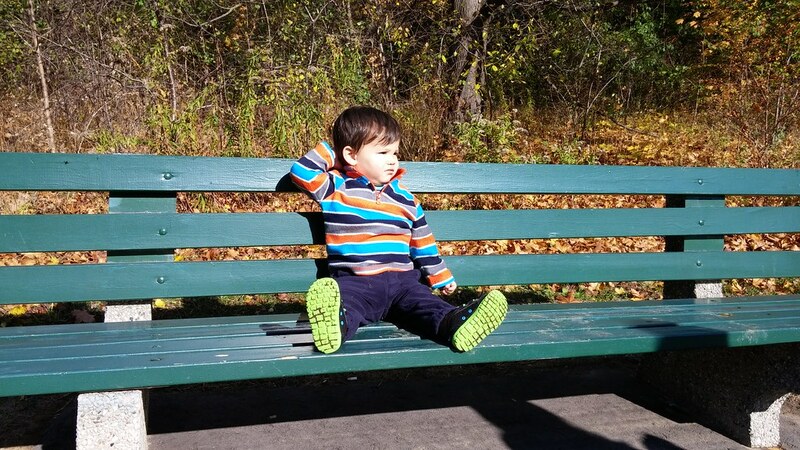 He's 17-months old and a little ball of energy. This experience has been so rewarding, so enriching, I simply couldn't say no to my wife when she suggested we try for one more. 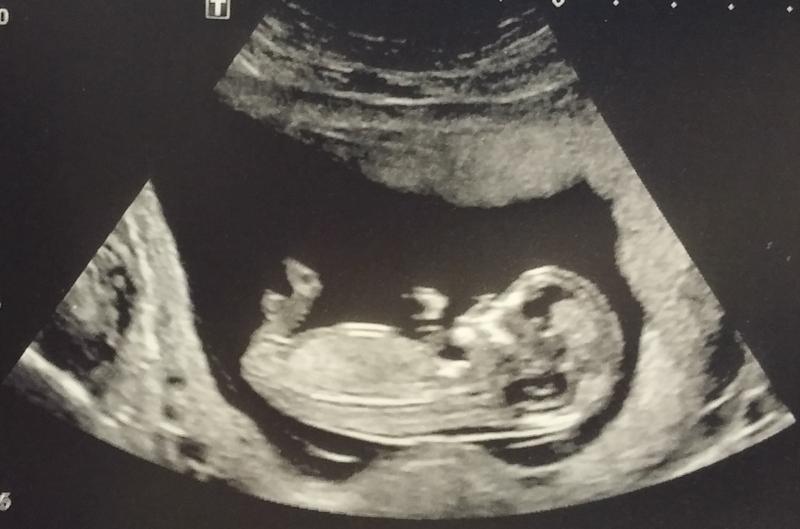 This morning, I got to see the little peanut who will be my fourth child. He / she is active and has a strong heartbeat, and I can't wait to meet him / her. I can't wait to do it one more time. But then, that's it. I'm done. My daughter knows me well. She can anticipate my reaction to just about everything. It's frightening, really. Michelle: Daddy, there's something I want, but you're not going to like it. Me: Oh yeah? What's that? 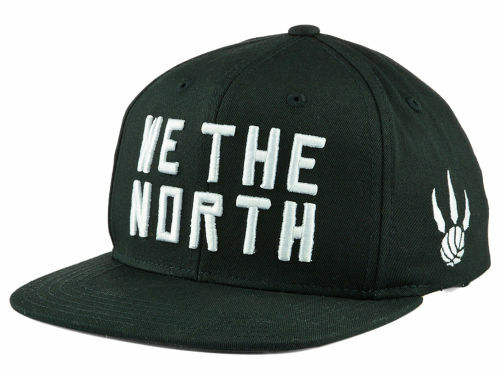 Michelle: I want a Raptors cap. Me: Why wouldn't I like that? I totally dig that. Michelle: Well... I want a flat brim. I know you hate caps with flat brims. Me: You're right, I don't like that at all. The flat brim cap era has provided us with our very first taste of the generation gap. Every time I see someone wearing a cap with a completely flat brim I want to grab the brim and work it in. I like curves! 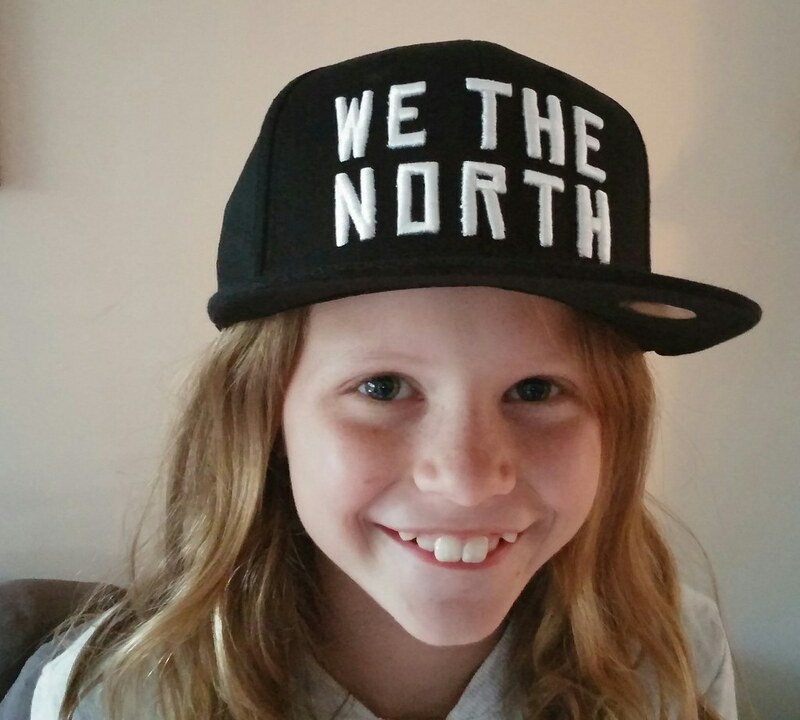 I may personally despise the flat brim style, but I'll love my daughter in one regardless. As part of their job action, my kids' teachers won't be entering grades into the report card system. I'm A-OK with that. I simply don't care what grades my kids receive in primary school. I never have, and I never will. In fact, I'd be happy if grades disappeared forever from primary school report cards. These teachers with their job action are doing us a favour. It's the comments I care about. Ideally, there would be even more meat on that bone. Tell me how my child works independently, with others, and if you believe there are any learning disabilities or disciplinary concerns. Of course, if there actually was an issue, it's not as if I'd be learning about it for the first time on a report card. A solid dialogue with the teacher would have revealed any such concerns long ago. I'm lucky in that my grade five and grade seven children are excellent students, but even if they struggled and received poor grades, they'd be promoted. Kids today can't fail even if they try. The grades truly do not matter. In high school, this starts to change. Universities will reject students who don't have sufficient grades, so grades become very important. Unfortunately, that means learning becomes less importance. The more importance placed on a final grade, the less incentive there is to learn and leave your comfort zone. For example, when I was in high school, I knew the marks that the University of Toronto would look at when I applied there. I needed a math, and to satisfy other criteria, but I could cherry pick the classes I knew I could ace with minimal effort. I intentionally avoided difficult classes, because I knew the grades were all that mattered. If your goal is learning, this is counter-productive. Withholding my children's grades this year doesn't have this parent angry. It has me grateful. 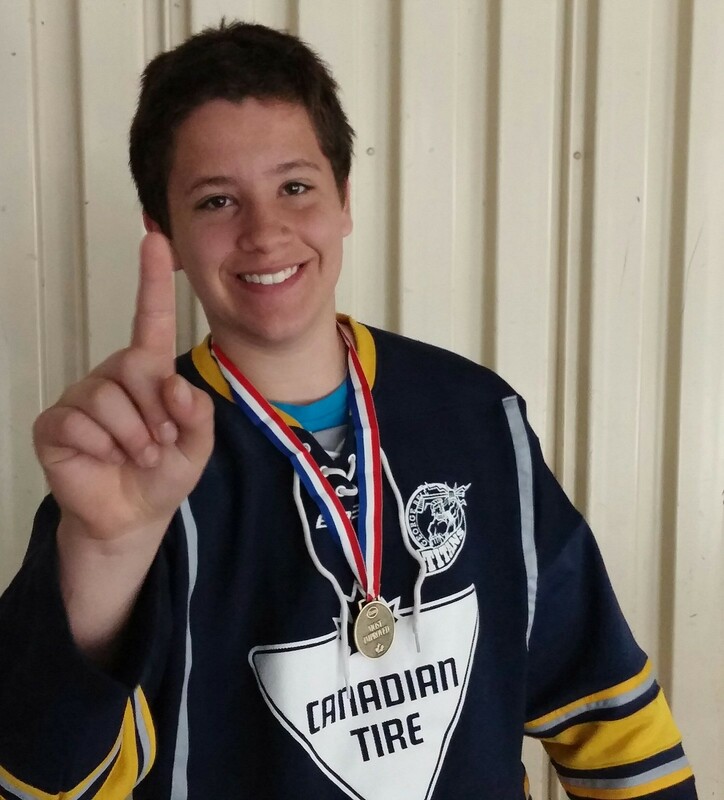 My son won his hockey league's house league championship this afternoon. Stop me if you've heard this one before. He also won it all last year, and the year before. That's three titles in three years, if you're keeping track at home. This is James's fourth house league title overall. He won his first in 2010, the same day Sidney Crosby scored the golden goal for Canada.